HAPPY THANKSGIVING to you and yours. We will be at the New Albany Farmer’s Market this weekend. It’s going to be a busy weekend for New Albany so come down and enjoy all it has to offer. We still have plenty of home grown tomatoes and a few heirlooms will also be available. We will also have cabbage, onions, white, red and sweet potatoes, winter squashes, both acorn and butternut. 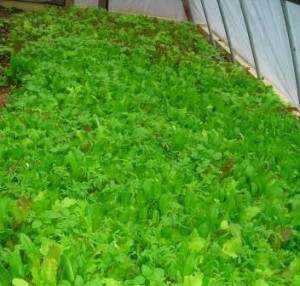 Our fresh baby lettuce will be cut and ready this weekend… we will have Rocky Top, Wildfire Mix and European Mix varieties this week. 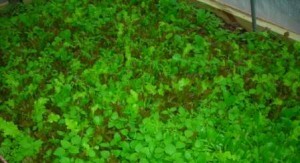 We are going to give the greens (kale and spinach) a break this week and let them grow so we can get a good pick next weekend. P. S. Don’t forget to pick up your farm-fresh, free-range eggs at the market as well. We have chicken, quail and now duck eggs available.